Good morning polished world! How are you today? I'm doing FANTASTIC since this weekend I received over 1,000 new Likes on my Facebook page! I still cannot get over it! It seems that my new followers came as part of other lovely bloggers sharing my page using the #sharethelove tag! Truly, I'm feeling the love and am planning to pay it forward and share some pages! Thank you so much to those who shared and liked my page! Today I'm bringing you a quick post as this weeks schedule is weird and I didn't want to leave you guys without a manicure until Friday (tomorrow I have a different-ish post for Twinsie Tuesday). 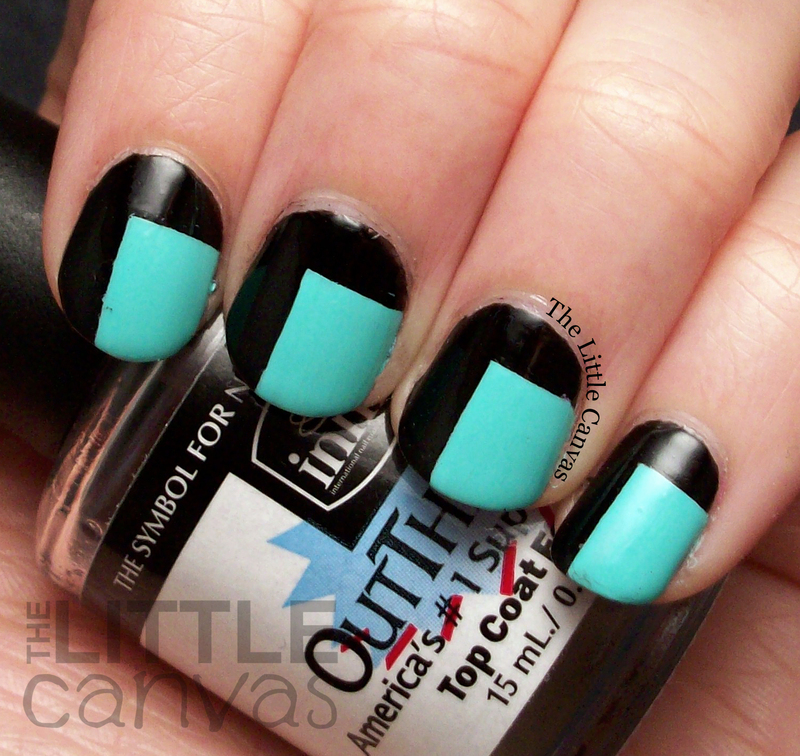 So we have a very simple manicure as I've been feeling uninspired lately. It happens, everyone gets into a ditch, but you slowly find your groove again. 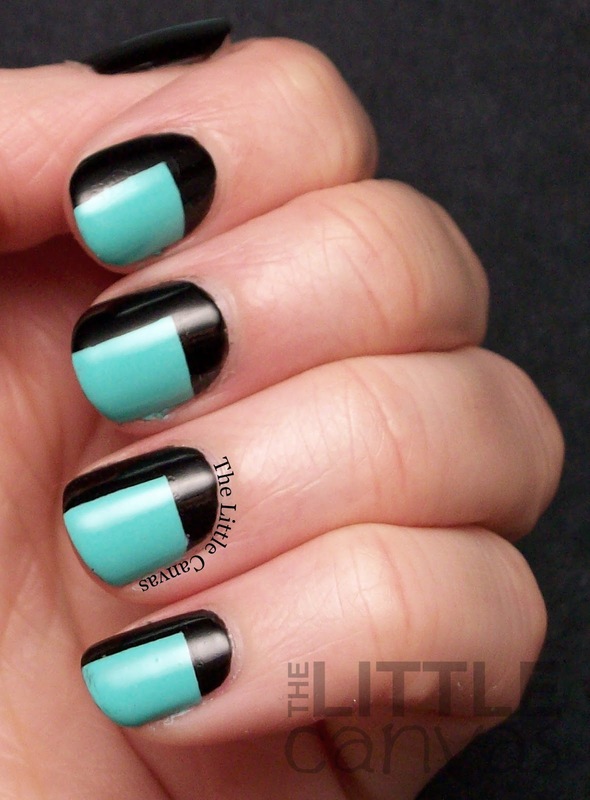 This simple color block manicure kind of helped to get me out of my rut. 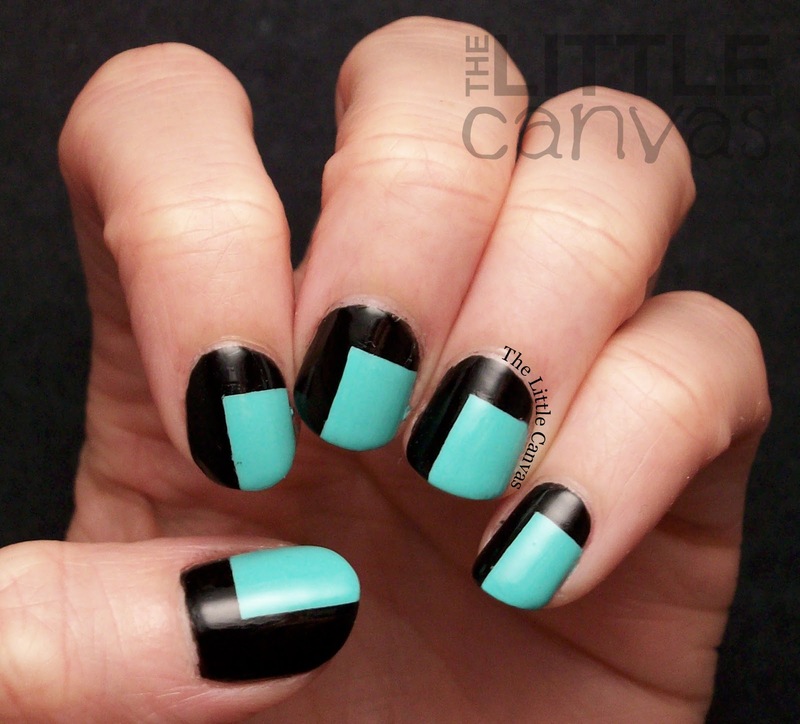 It surely reminded me how much I love color block manicures and how much I neglect them in my nail artist life. Kind of modern looking, right?! I started off with a base coat of Orly in Liquid Vinyl, you know, my favorite black polish. As my base was drying, I opened up my Melmer drawers and sat looking at my stash. What color was I going to put on top of this black? Pink, purple, yellow? Should I do a neon skittle?! There were so many choices, then I saw it, my new bottle of China Glaze Too Yacht to Handle. All I could think of was how awesome this color would pop off the black base. When my nails were dried, I took my nail art tape and created the upside down L shape on my nail. I could have used my painters tape, but my nails weren't completely dry and I knew that it would have taken the black right off. Nail art tape seems to be less sticky. When I had my tape placed where I wanted, I painted in Too Yacht to Handle then removed the tape. I really loved how these turned out! 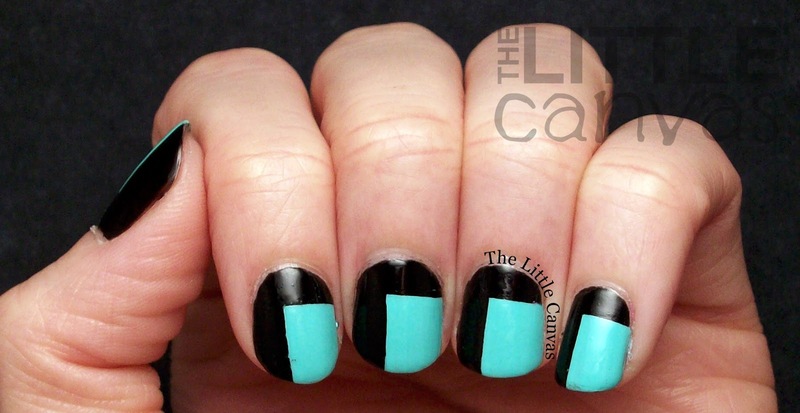 At first, one of my co-workers thought that the black was really navy, which then made us both realize how awesome this manicure would have looked with a navy base! Regardless, I love how the bright just pops. Imagine neon purple....goodness! I need to color block some more! What do you think? Enjoying the simple color block? Now that I look at it, it reminds me of the color block that Gwen has for her OPI collection! Seriously never realized that until now as I was writing the post. Marketing at it's finest!! !